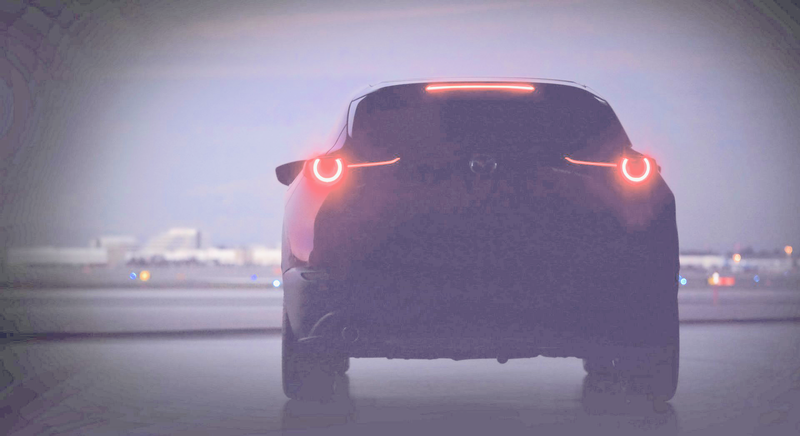 Mazda Teases Geneva-Bound New SUV, Is It The 2020 CX-3 Or CX-4? 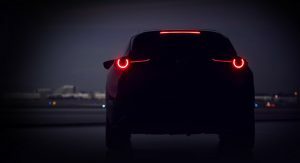 Mazda has released the first teaser image of a new SUV that will debut at the Geneva Motor Show, on March 5. While there have been rumors about it being a revamp of the CX-4 coupe-crossover sold in China, another possibility is the facelifted version of the CX-3, as its presence coincides with a (logical) revamp of the subcompact SUV that debuted at the end of 2014 in LA, before going on sale in late 2015 (early 2016, in some regions). In any case, this crossover benefits from “a more mature Kodo design language”, according to Mazda. This is partially visible at the rear in the official picture released by Mazda, which previews the rear end. Also Read: First Drive: Mazda’s Compact CX-3 Brings Style But Is It Premium Enough? Whatever this model may be, the company has also equipped it with a new SkyActiv engine. The lump gets the new Spark Plug Controlled Compression Ignition (SPCCI) technology, which enables it to rev like a petrol engine and at the same time have the response of a diesel thanks to the a unique combustion tech. That’s all Mazda had to say about it right now. But with four weeks left until its unveiling, we’ll likely find out more about it in future teasers. 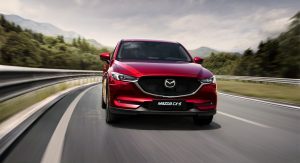 The new SUV will be joined in Geneva by the larger CX-5 that sports higher quality materials and driving dynamics updates with the G-Vectoring Control Plus, a vehicle dynamics control technology that improves handling. The new MX-5 30th Anniversary Edition will make its European debut at the same event, where it will be joined by the new Mazda3 hatchback and saloon, both of which already feature the SPCCI technology. What it needs: more cargo capacity. Like all Mazda CUVs, it trails the class in this regard. What it doesn’t need: the fugly hindquarters of the 3 hatch. This is likely the larger CX3 that will replace the current model, since Mazda has no restraint on having it straddle the line of subcompact and compact models. Some markets did recieve the face-lifted version in 2018 while others in 2019. I read awhile back that the next CX3 would probably get an early reveal, as they admitted it wasn’t up to par with other models in the segment. With the Skyactiv X engine being mentioned in the press release, it leads to the belief that this is something smaller than the CX5. Since Geneva reveals are usually aimed at larger global markets, it’s likely something that will satisfy European and US tastes. Mazda’s current Design is on point. That’s what I think this is. Rumor has it that an electric vehicle is somewhere around the size of a Mazda 3. The side mirrors seem to sit kind of low to be an SUV but yet again the Lexus UX sits low too. To Start Off, (& As I’ve Stated Before,) I’m excited for the future of Mazda. Again Mazdas’ Next generation line-up only features the new Mazda 3 currently. 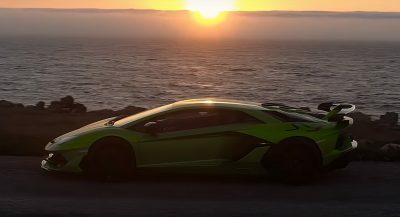 (ALL of their other vehicles are facelifts of vehicle from their previous generation which started life back in 2009). As of Now we only have the Mazda 3, and it is significantly more “upscale” than any other Mazda I have been in or seen before. 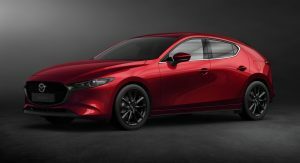 Although that is the goal as Mazda stated they were moving their brand (in addition to all of their vehicles) Up Market. This Actually Seems to be A Replacement NOT to the CX-3 but instead to the CX-5 which is over half a decade old now (even with the recent facelift). From this singular shot alone, you already begin to see element from both the Mazda Vision Coupe & Kai Concepts, making their way onto their production vehicles; (again) original started with the new Mazda 3 back in November of Last Year. The CX-5 here, seems to take quite a lot of inspiration from the Vision Coupe concept, so I can only expect the front end facia to take inspiration from the vehicle as well. I brightened the teaser image the best I could in the moment so you can zoom in and get a better look at the details and more specifically what I mean. Mazda seems to be doing quite a good job of keeping their vehicles under wraps here (prior to them being revealed). 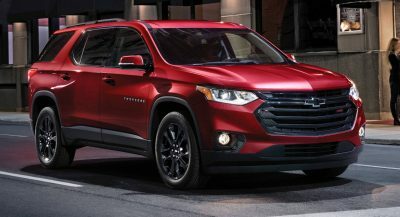 If I had to guess, it’s likely this could be the next generation CX-6 (which is not sold in the US). It would be great to see them replace the current CX-5 with this new vehicle here. Mazda makes some of the best looking vehicle in the world right now. So, Either-way, I am really looking forward to seeing what this vehicle looks like when it is revealed. Sorry I was just going to correct that, It meant to say CX-4 instead of CX-6, thank you. The “All New” Mazda CX-5 is more so a ‘heavy facelift’ slightly more so than the 2013 & 2015 Mazda 6 in comparison to the 2017 Mazda 6. It’s technically ‘new’ but it is not a full redesign as suggested, as it’s more of a “1.5” than a “2.0” if you understand what I mean by that. If you take a look at the interior (software, design, layout, etc), it is based on their last generation design. I also agree in regards to it not being the CX-3 as that not only just had a facelift, but was introduced only a few years ago. This vehicle here seems to be quite a bit more wide than the CX-3 and based on where the front tires are, it seems a bit longer as well alluding to it being a CX-4 or next generation CX-5 so I do agree your right there. Lastly thank you for the ‘save’ with the CX-4 I originally meant to say CX-4 not CX-6 👍. Even though the CX-5 is probably also a bit like a 1.5 it’s still style wise very Mazda now, I don’t think it will be replaced this quickly. Definitely not the CX-3. It can’t be yet since they just revealed a facelift. With its “crossover coupe” shape, I’d say CX-4. Mazda Austria said that new SUV is located between 3 and 5. Mazda implements Alfa Romeo’s styling language better than Alfa Romeo does. And their cars are just as impractical aswell. No room for stuff in the back cargo area and no room for back seat passengers due to short roofs. Who cares? They look good, and that’s why people buy them. If you want practicality, go buy something ugly like a Subaru. Mazda looks good? LOL name one Mazda that looks good? 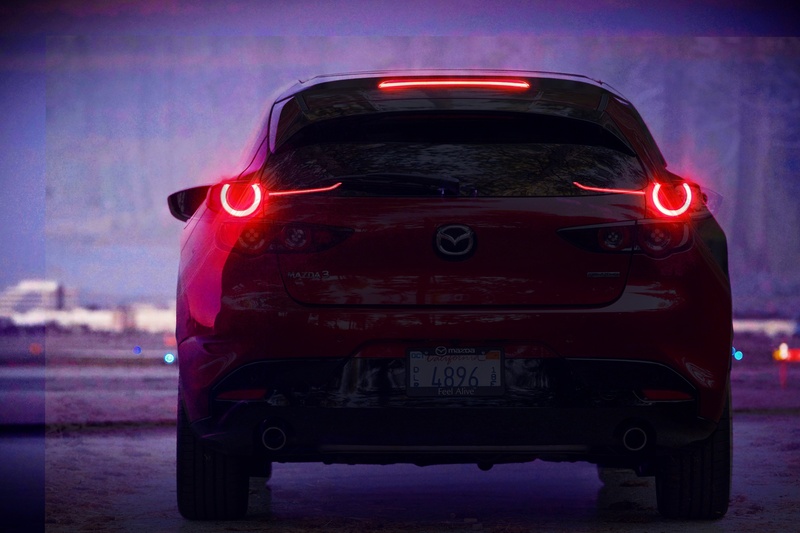 The CX5 has tiny foglights and tiny head and tail lights. The front bumper looks incomplete as does the rear end. I don’t like Mazda’s design. But mazda received world car of the year 2016 and concept car of the year 2018, most beautiful concept car of the year 2018 in Paris. Mazda 3, 6, CX5, CX9 and Miata all look good to me. You described design elements but not why they’re bad. I like Mazda’s lighting, the thin light deisign looks very clean and sporty. The main aspects Mazda has going for it is its exterior/interior design and driving dynamics. If you need more cargo space then simply look into one of Mazda’s larger offerings or another brand. Design is always a personal preference but I don’t understand how you think Mazda’s look ugly. When it comes to Mazda they only care about style over function. There is no form and function together. Not such a generalization. They are plenty practical for their buyers. You must be one of those people who pack their cars full of junk. There is plenty of cargo room in current-day Mazdas. Besides, Mazda’s focus is on driving experience. They are not in the business of making mobile storage sheds. If the latter is all you care about, you are definitely lost and reading the wrong site. CX-3 was always hugely appealing and latest version is quite gorgeous, definitely more so than anything in its class. Only issue for me was that the back seat was largely unusable for adults and that negates the point of a crossover anything. Also, like all Mazda’s, unacceptably underpowered and thus, never seriously on my radar. If they can’t develop their own stellar powertrains as a small company, then buy them or license them from those that can. Lotus did this with Toyota’s V6, Infiniti with MB’s crossover platform, Toyota with BMW’s Z4, and on and on… If ever a brand was deserving of excellent powertrains, its Mazda. 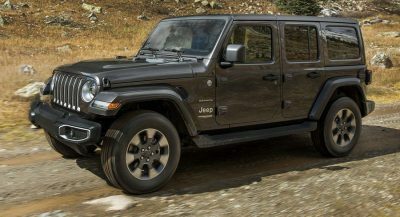 Excellent powertrains isn’t all about HP. Cars are plenty quick these days. Mazda is competitive in its segments there. You like well-done, I like medium-rare. 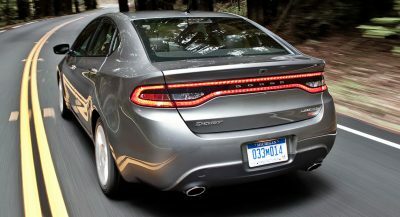 I expect more from the zoom-zoom company, especially when the cars have such competent handling. So, for me, no Mazda until they begin to offer “real” engines and better transmissions. What ever it is, it has a nice stance. I don’t see Mazda introducing a vehicle at Geneva and not bringing it to the States. My bet is it is the new CX3, hitting the US in 2020 as a 2021. If it’s the China-only CX-4, it would not be revealed in Geneva. C’mon, think! Could be that it is no longer going to be China only? No. It’s the new CX-3. Period. Or maybe Mazda is fooling everyone and this is the new Mazda 2. I was thinking this was certainly the next CX3, however the wording seems to say its a additional model and not a redesign. My guess is a Global Market CX-4. If done right I hope it will come to the US. Plop the CX-9 Turbo in this and I won’t pine for a new MS3. BMW, Renault, Lynk&co, Volkswagen copied Mercedes Benz SUV coupe style. Toyota crown copied audi’s single frame grille. It is natural to adopt trends of other companies in the automobile industry. However, copy products like Chinese makers are illegal. I think this is the CX-6. If one take the teaser photo and plays with the brightness/contrast I believe you can see the CX-6 badge on the hatch.